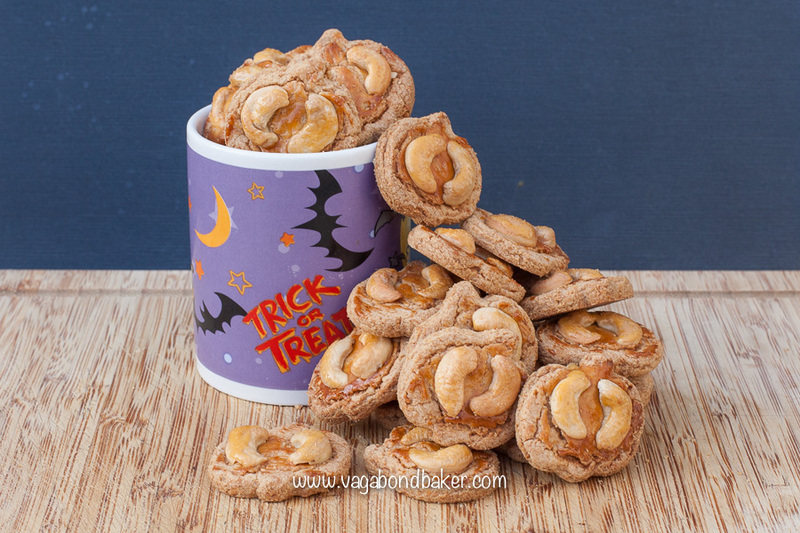 These pumpkin-shaped cookies are inspired by my travels in China and Malaysia; I was happily writing up our travels in Penang, Malaysia – reminiscing on the sights, smells and foods of this multicultural island – and simultaneously wondering what to bake this week. 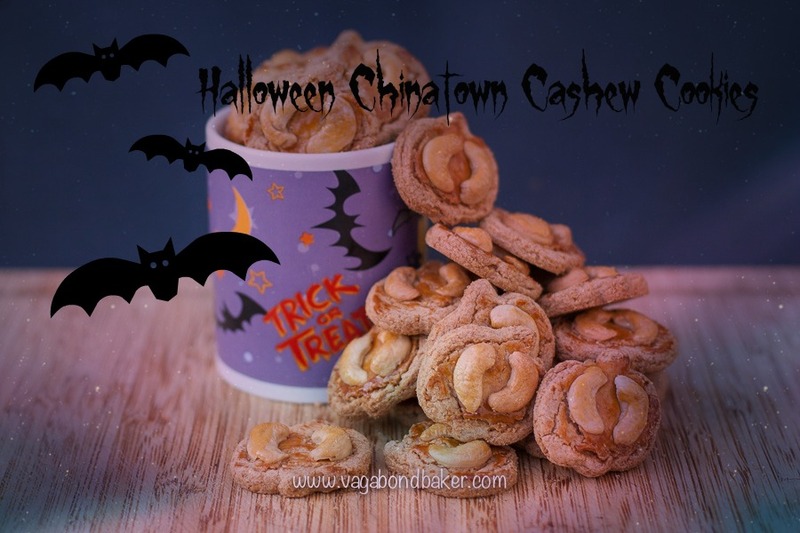 Now October is here, the countdown to Halloween has begun; I wondered if I could combine inspiration from Penang into a Halloween treat: a multicultural cookie for my favourite holiday. These cookies are what I came up with. 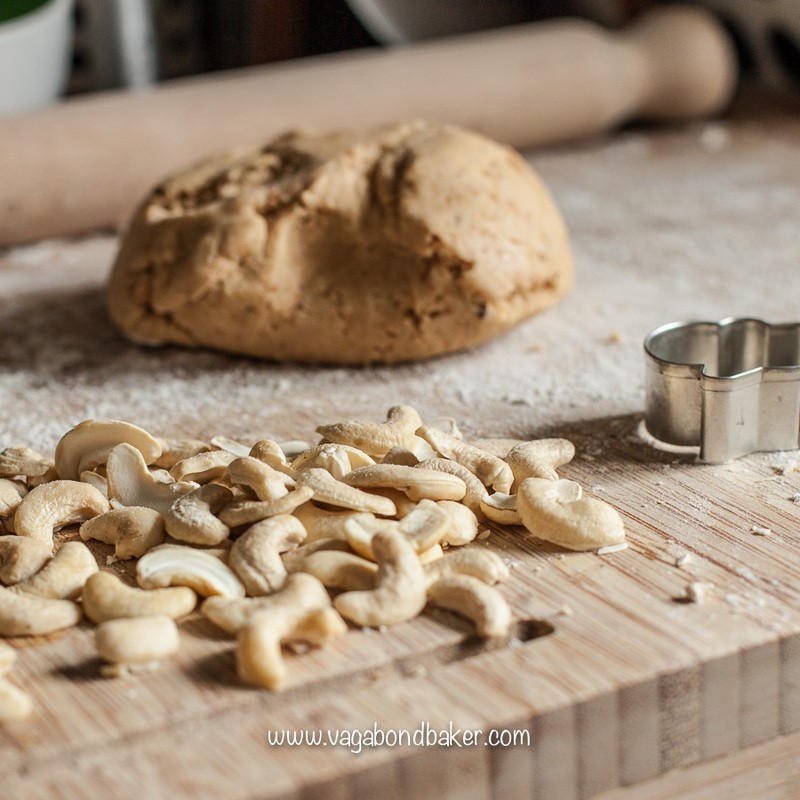 Cashew Nut cookies are traditionally baked to celebrate Chinese New Year, for prosperity; the shape of the cashew representing traditional Chinese gold ingots. 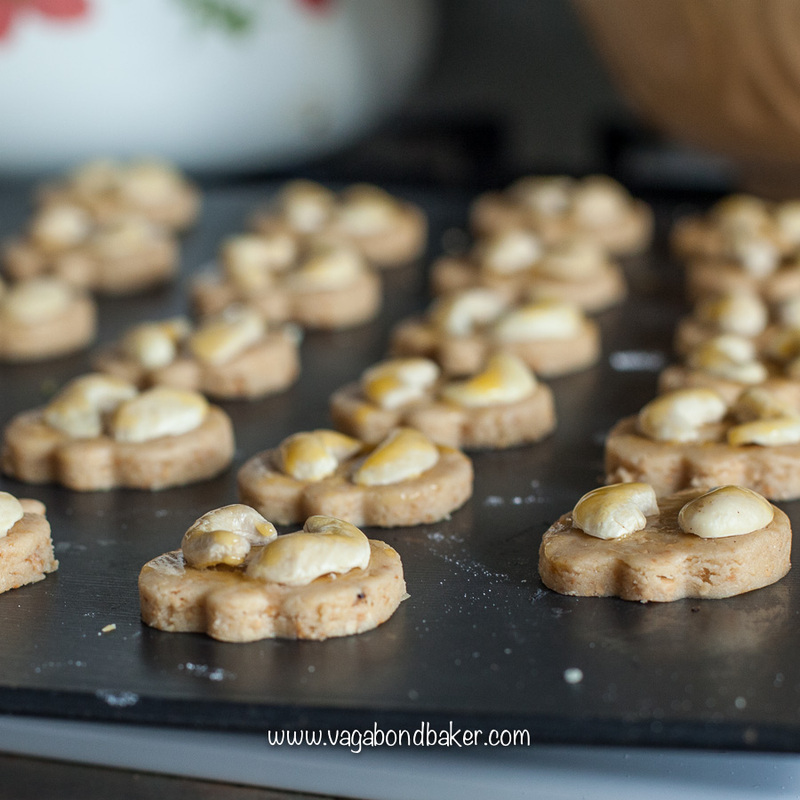 A buttery biscuit with a crackly golden top; we ate similar ones in Penang’s Chinatown. 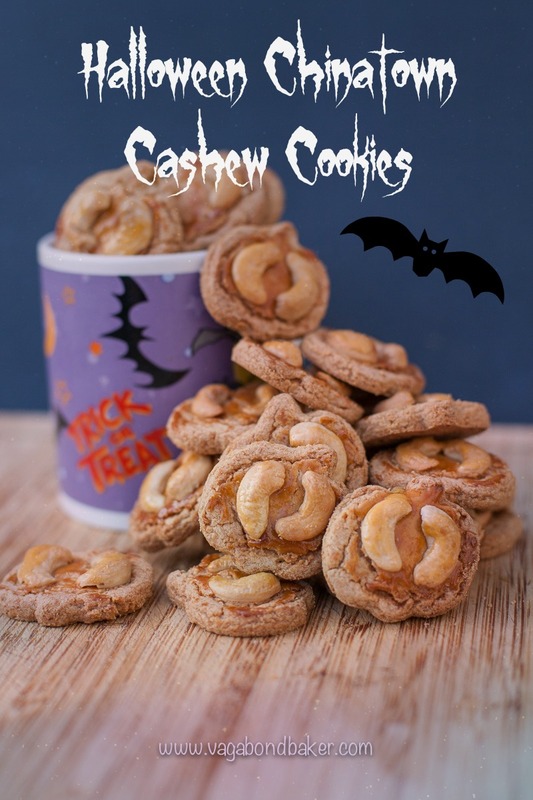 I came across this recipe over on Kitchen Tigress’s blog, after researching cashew nut cookies. I could shape them like pumpkins! I’ve altered the recipe somewhat, in both ingredients and procedure: switched icing sugar for the stated caster, purely because I was going to blitz the lot in a food processor, and halving the recipe; just going with my instinct really and I’m pleased with the result. You can make them with caster sugar, either is good. They are easy to make, I’ve rolled the dough out and stamped out pumpkin shapes with a small cutter but you could also simply form little balls with the dough, flattening them with your thumb, if you preferred. 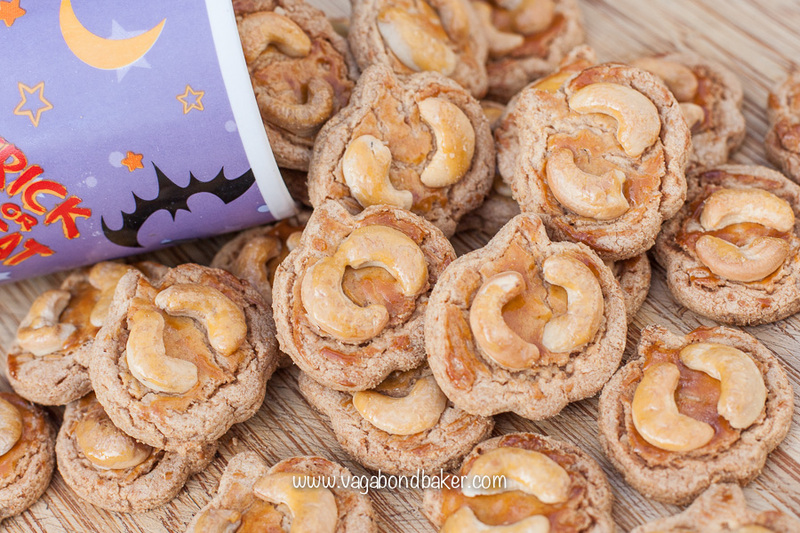 The golden cracked glaze and cashew halves turn these New Year cookies into perfectly Autumnal pumpkin cookies don’t you think? The glaze is simply egg yolk painted on the cookies before baking. I baked mine with dairy-free spread as I’m off dairy for a month (to see if that’s what has caused bad acne since I got back from our travels), they are delicious but butter is the way to go (of course!). 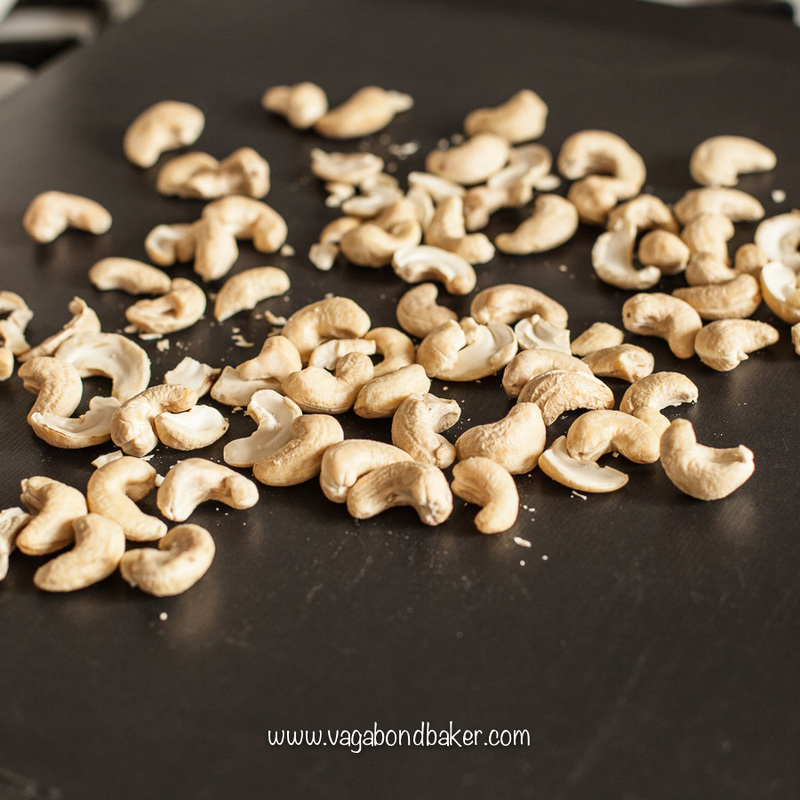 Begin by dry roasting the first 100 g of cashew nuts: spread them out onto the cookie sheet and roast in the preheated oven for around 10 minutes until lightly golden. Set aside to cool completely. 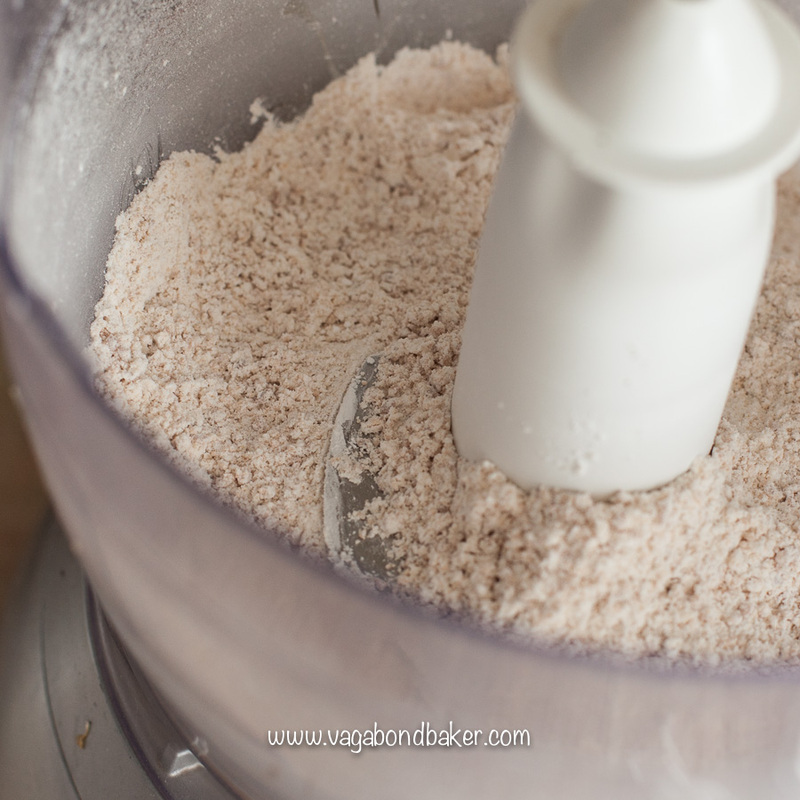 Once completely cool, place the roasted cashews into a food processor and blitz until fairly fine, don’t worry if it’s still quite nibbly. Now add the icing sugar and blitz again, followed by the butter. It should now blend to a paste. Transfer to a mixing bowl and add an egg yolk then sift in the flour, baking powder and sea salt. 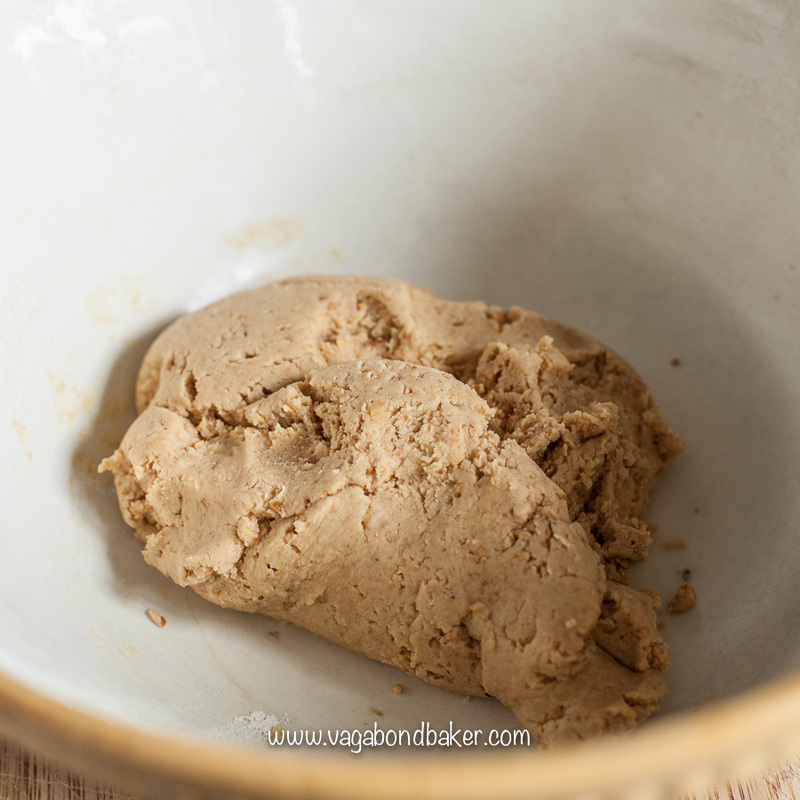 Mix to a dough with a wooden spoon, bringing it together with your hands. It should be a consistency you can roll out, if not add a bit more flour. Pop the dough in the fridge to firm up for 20 minutes or so, just to make rolling out easier. 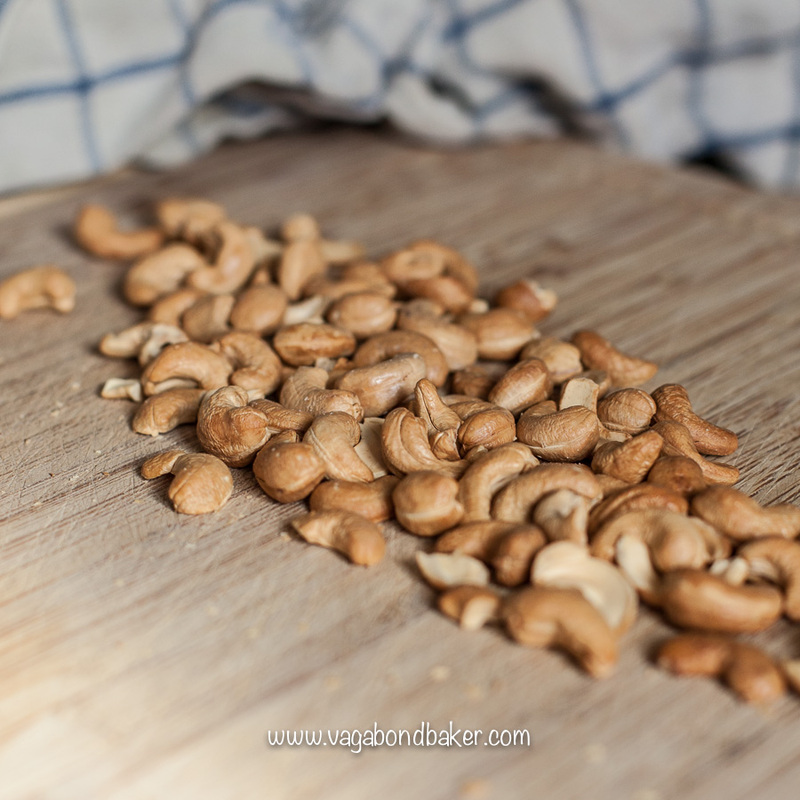 Meanwhile, take the second lot of (unroasted) cashews and split the halves, set aside. Lightly dust the work surface with flour them roll out the dough to about 5mm thickness. Stamp out small pumpkins shapes, or any small shape you wish. Transfer to the baking sheet. 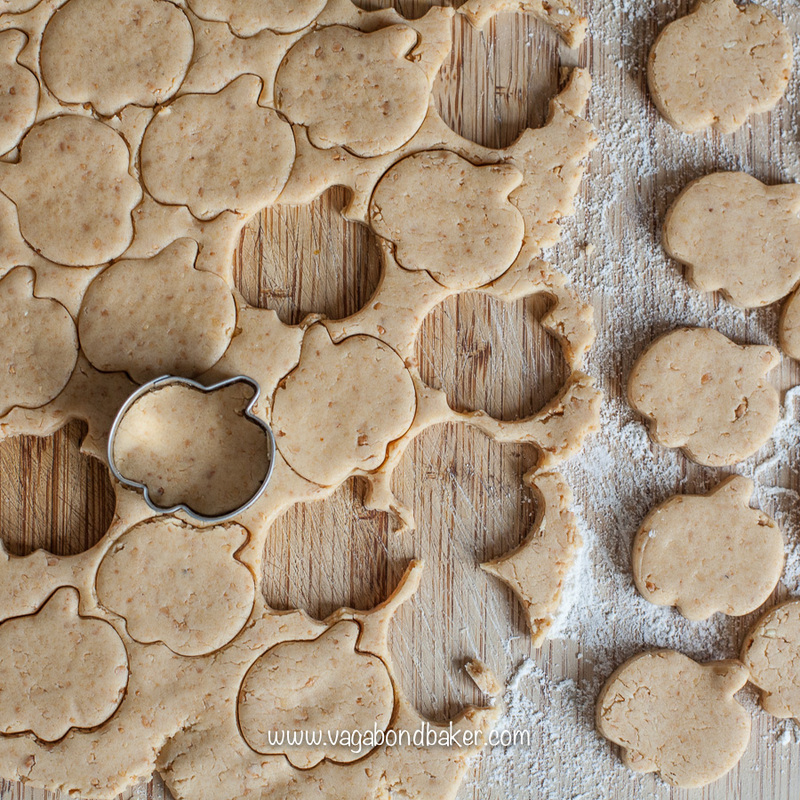 Beat the second egg yolk and lightly paint the top of each cookie with a pastry brush. 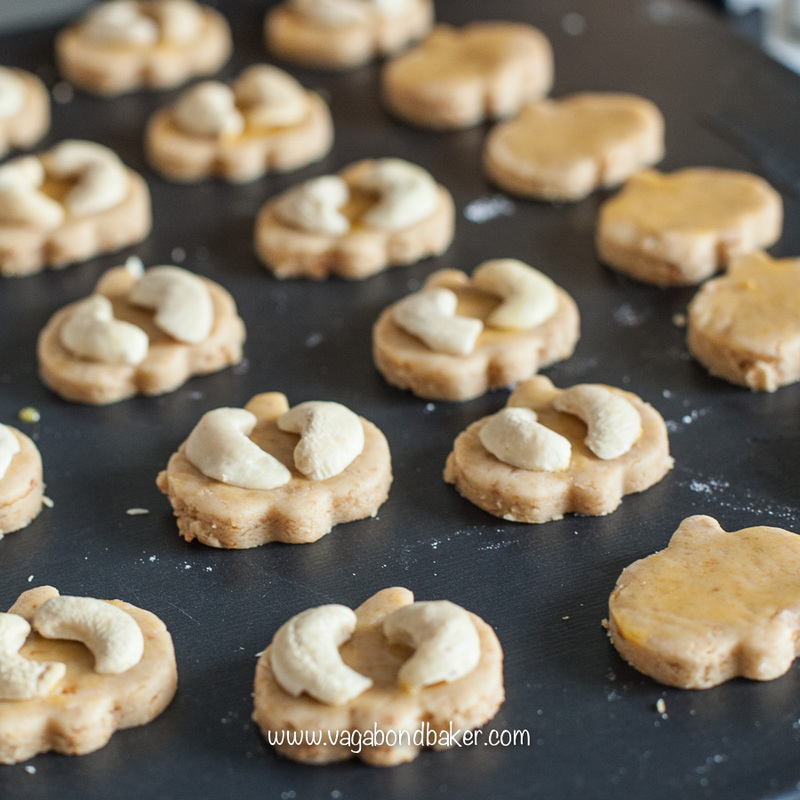 Take two cashew halves and pop on the top of each cookie , painting the top of each cashew half with more egg yolk. 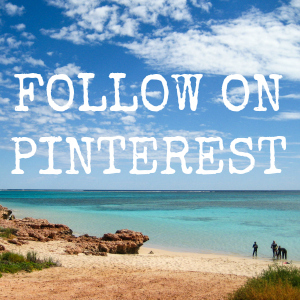 Bake in the preheated oven for around 15 to 20 minutes until golden. Leave on the baking sheet for a few minutes to firm up then transfer to a wire rack to cool completely. 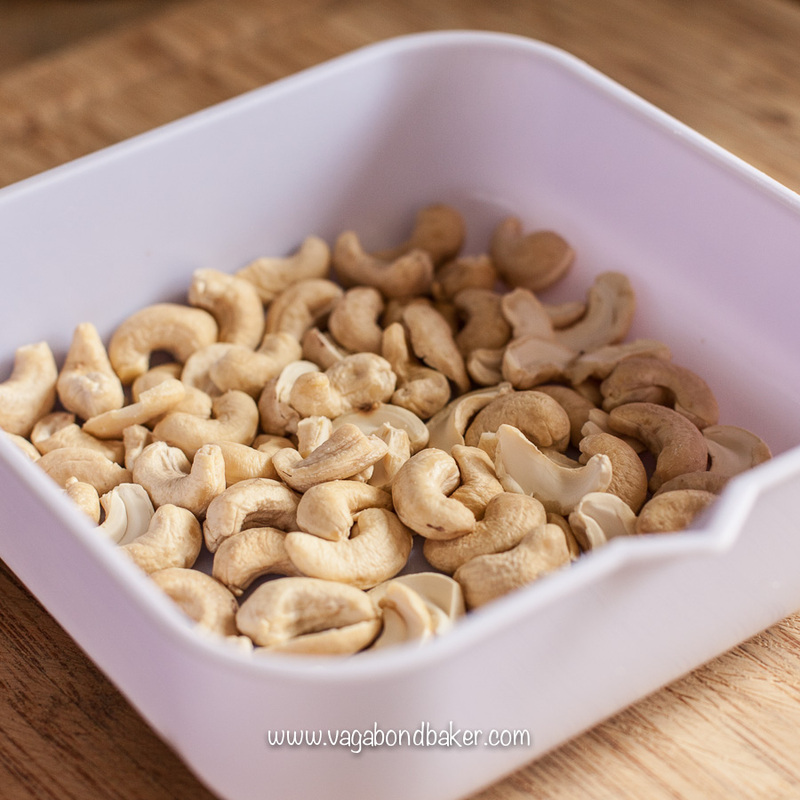 These cashew nut cookies will keep for a week or two in an airtight container. 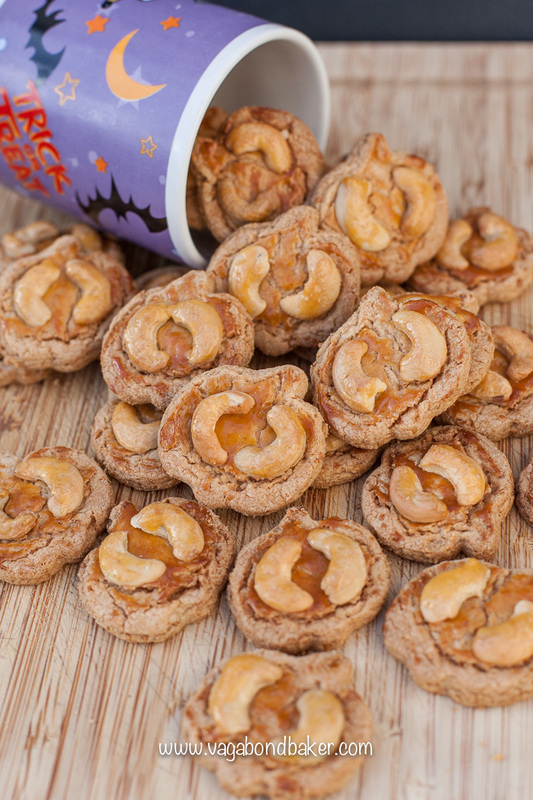 The golden cracked glaze and cashew halves turn these New Year cookies into perfectly Autumnal pumpkin cookies. Preheat oven to 160 C / gas 2 / 315 F. You need one large non stick baking sheet. They will keep for a week or two in an airtight container. What frights have you got planned this Halloween?